We are honored to have John Schildt for our final speaker for the 2o17 Civil War Summer Lecture Series. John Schildt hardly needs an introduction. He is well known for his many books relating the various aspects of the Maryland Campaign of 1862 and local history. Reverend Schildt graduated from Shephard College, Wesley Theological Seminary and has studied at Western Maryland College, Gettysburg Seminary and West Virginia University. Rev. Schildt was introduced to Civil War history by his great-grandmother who fed Union troops on the way to Gettysburg when she was a little girl. 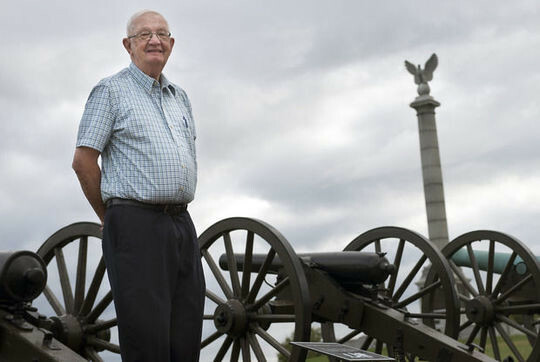 John has been a lecturer and guide for the Gettysburg College Civil War Institute, Bud Robertson’s “Campaigning with Lee”, the Chicago Civil War Round Table, and many other groups. He was the main speaker at the 125th anniversary of Antietam. Outside of Civil War history, John has led three educational excursions to Normandy and took part in the American and French commemoration of the 50th anniversary of the D-day landing in 1994. While giving leading explorations, he likes to make history come alive by sharing human interest stories about people and places. 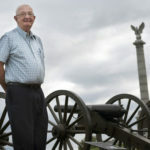 Having been a lifelong student of Antietam, John has written many books on the subject, including “September Echoes,” “Drums along the Antietam,” “Roads to Antietam,” and several others. In conjunction with the 150th anniversary of the dedication of the Antietam National Cemetery in 1867, John will speak about his new book – “These Honored Dead”, on Wednesday, August 30th. The book discusses the development of the Antietam National Cemetery and contains many photographs and copies of documents. John’s book will be available for purchase.